Your first priority is always to have a source of fresh water. I can’t stress this enough. You should store one gallon of water per person or pet per day. Store enough for at least three days, up to two weeks if you have the space. Eventually however, you may be forced to filter water from streams. You can find out how to build an emergency water filter here. You can boil water of course to kill bacteria and parasites, but you might not always have a source of fuel or electricity available! 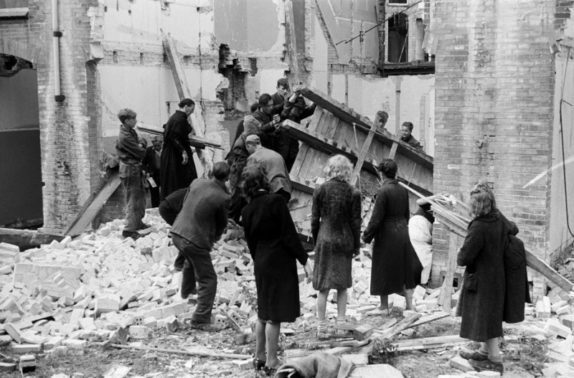 During the Dutch famine of 1944, people actually had to demolish empty houses to use the wood as fuel. Our suggestion is to look into buying a simple water filter yourself. 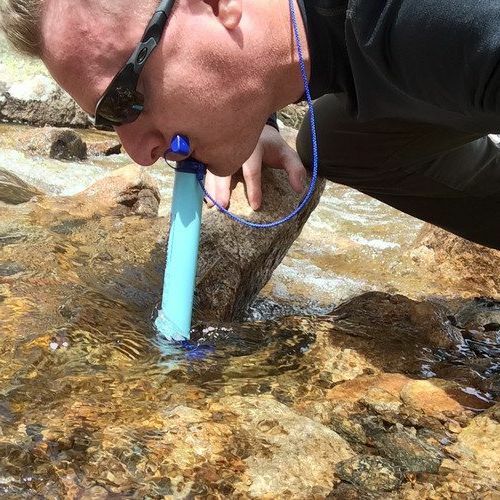 The ideal one to get is the Lifestraw. This filters 1000 liter of water. Assuming you need 2 liter of fresh water per day, you will pay 4 cents per day to get clean water. If you like going on camping or long hiking trips, it’s ideal to bring it with you. With the water issue addressed, we can look at other food storage essentials. 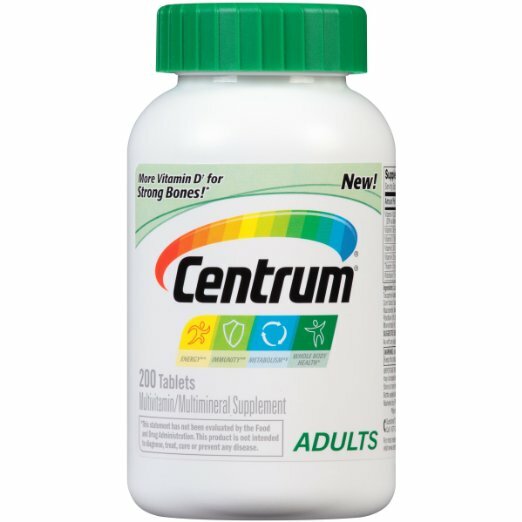 Your body needs thirteen different vitamins. When you don’t have access to them, you grow ill. Your body also needs a long list of different minerals. The simple solution to this is to get a big bottle of multivitamin tablets. It takes less than 10 dollar to get enough for a family of four to sit out an emergency situation of fifty days. This doesn’t get you 100% of every single vitamin and mineral you need, you still need to eat actual food of course. It’s important however, because some food groups like fruit can’t be stored easily without losing their nutrients. Take a bottle like this and you won’t risk ailments like scurvy. With these essential priorities covered, let’s look at the bulk of your food. You can look for custom-made stored food packages. 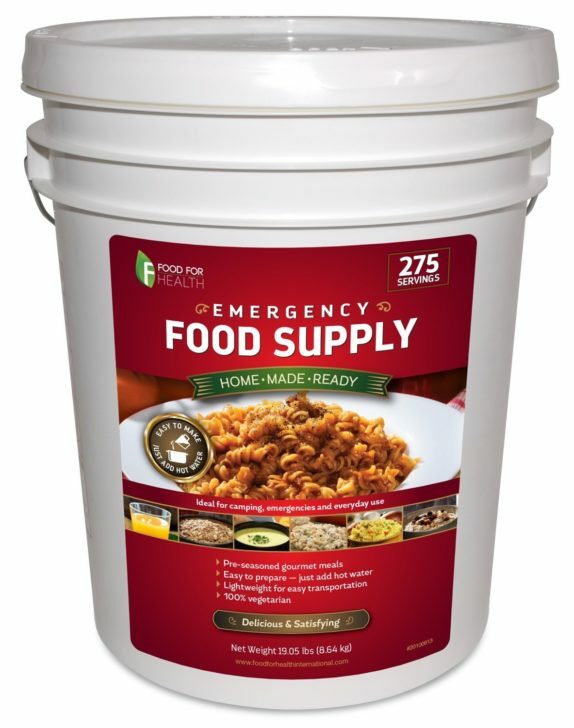 Here is a popular example of stored food, with 275 servings stored in a bucket. If you buy this, you’re paying less than 58 cents per serving. However, it is inevitable that stored food you bought that you have stored for years is not going to taste very great when you open it. It may taste bitter, this is very hard to avoid. When you’re in an emergency situation that’s acceptable. Flavor has to be sacrificed for shelf life. In the medieval era, back when most people still produced their own food, we could not buy stored food off the internet. People around the world came up with their own techniques of storing food, fitted to their local climate. In Vietnam, people still use very effective fermentation techniques to keep meat, fish and other types of food safe for a long period of time. In Europe we do something similar with cabbage, to produce sauerkraut, raw fermented cabbage. Besides being very healthy for your intestinal system, sauerkraut allows you to store cabbage for more than a year. You will have something edible without needing any heating or electricity. Learn how to make your own sauerkraut here! Personally, I’m kind of picky with food. One of the things I like to eat most of all is dark sourdough rye bread, it’s very nutritious. The great thing about sourdough bread is the ingredients can be stored for a very long time, before you prepare the food. When you actually prepare the food after years of storage, it should still taste very fresh! The reason for this is because the food is produced by fermentation. When you take your flour and add water, bacteria and yeast from the environment will gradually enter the dough. The dough will then turn sour. You can then gradually add more flour and water, until you have enough for a bread that you can place in your oven. 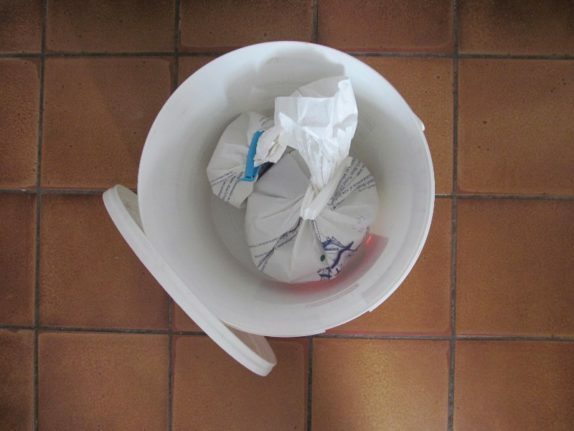 The process of making your own sourdough starter from scratch is explained here. These little packages are added to some food packaging meant for long term storage, to increase the shelf life. The big one on the list consists of little silicon balls that absorb moisture. The smaller ones on the right are used to absorb oxygen in food packaging. 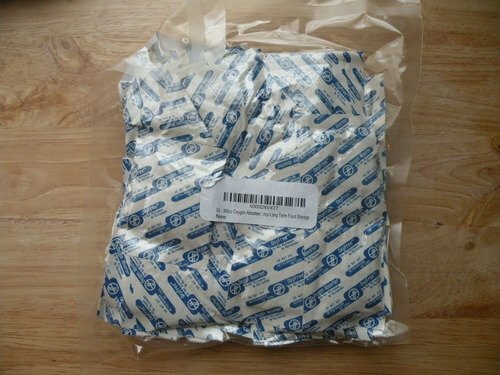 You can use such packages yourself as well, to further preserve the quality of the food you’re storing. Just make sure your bucket is stored to the brim with food, so there is very little room for air left, then add packages that look like this. They won’t remove all moisture and oxygen overnight, this is a gradual process. 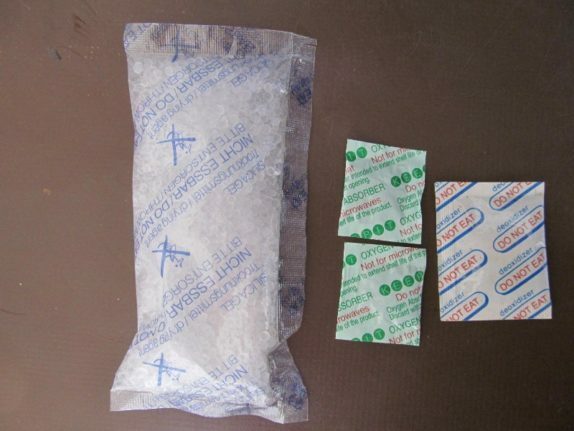 You can easily buy oxygen absorbers yourself, they shouldn’t cost more than roughly 20 cent per piece. You can also save them from food you buy of course. Hopefully you will find these food storage ideas useful. If you’re in doubt, always remember that if no emergency happens in the next few years, you can always just open the storage kit you bought and have a couple of cheap meals. For more ideas useful in emergency situations, check out our five gallon bucket emergency kit page.